Who doesn’t like designing crazy buildings, settlements, and communities? These type of games are the perfect way to convey yourself and be creative, sometimes without any hindrance or anyone stopping you. It is also very similar to strategic games, but the main difference is that in such games or your success is not based on how you survive physically, but is more dependent on your financial survival. The main goal is to make money and reach your desired result. Most city-building simulators have a sandbox mode meaning you can build with an unlimited budget and don’t have to worry about taking care of your finances. Furthermore, such games also help in enhancing your management skills, whether it is just about how you manage your resources, it is always fun to brainstorm and come up with efficient solutions. So with this being said, here is a list of the best City Builder Games and Management Games you can play. Theotown is a city building strategy game that lets you build and manage an isolated society. You start this game with only a few people to control, and literally nothing in hand. The main goal of this amazing metropolis building game is to develop a sustainable environment for the people to survive through the various conditions. If you think this it, you are wrong, the thing is that people will die if they are not well-taken care. After all, you have to make your town thrive. Declare zones for residential, commercial or industrial buildings and build a road to connect them. Make your city more attractive by building parks, schools, and many more facilities. If you like a really challenging game and want to build your own little community, Theotown is a great game to play. The game is free but to install but contains ads and offers in-app purchases. 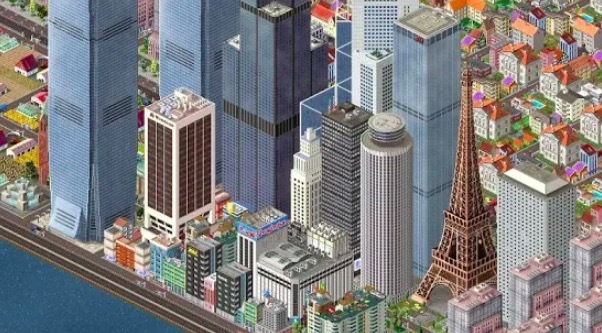 This is an all-new SimCity lets you be your very own hero and lets you build a beautiful city. As your metropolis gets bigger and more intricate, your choices also have to be more thoughtful and intelligent. Join a Mayor’s Club to trade supplies with other members and chat about strategies and available resources. To keep your citizens happy and to consequently keep your popularity index high, you have to find solutions for various issues and also provide a plethora of services by, for instance, building power plants, police departments, educational institutions, and parks. 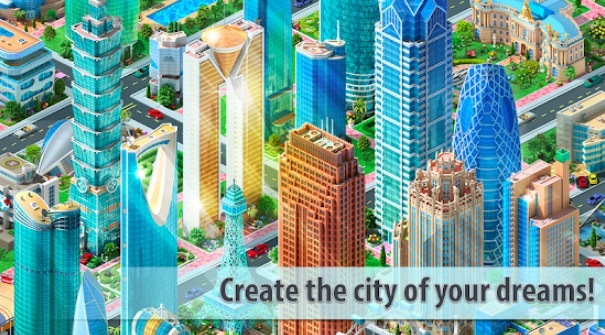 Extremely breathtaking, and lively 3D-quality graphics, SimCity deems itself the most realistic city builder game on Android, undoubtedly. In this strategical city building game build your own industrial metropolis from scratch. 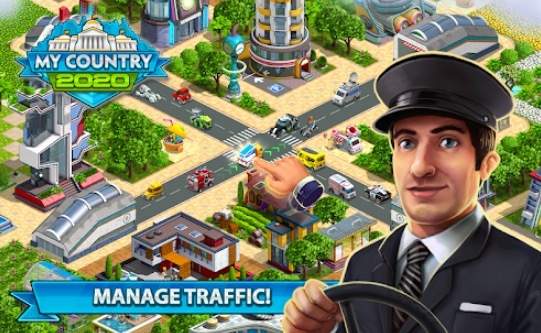 This game offers to manage economic situations, strategic planning and placements of essential buildings, in fact, there is even a chance to get special gifts when visiting neighbors. Build gardens and decorations to look at your city better and improve environments for your citizens. Develop infrastructures, attract new citizen, build manageable roads, airports, railways and many more in order to grow your city into a mega town. Megapolis is constantly growing. Your gameplay experience is our priority, so updates are released regularly. 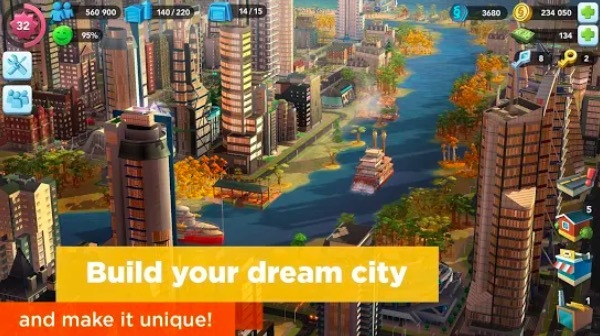 In this strategy game you’ll find everything you need to create your perfect city, for instance, the ability to build and expand your city, awesomely realistic 3D graphics with magnificent natural landscapes and even more. Build your dream town with this unique city building game for Android. 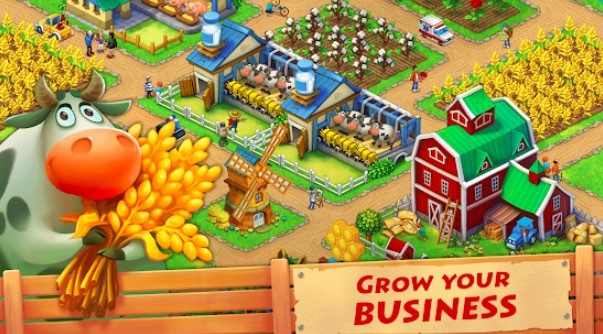 Harvest crops at the farms, process them at your facilities and sell goods so as to develop your town. 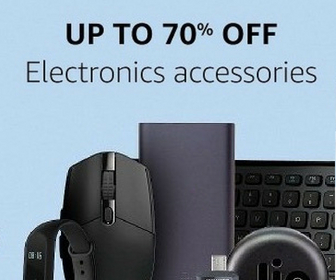 Trade with exotic countries, and get in touch with various people around the world. Open restaurants, cinemas, and other community buildings to give life in your town special flavor. Run your own zoo and collect animals from around the world. Township is free to play, though some in-game items can also be purchased for real money. Fallout is considered one of the best house building games of all time. It is all fun with a fantastic gameplay and originality of the favorite game. The game player can send the Dwellers on the surface above to encounter the adventure and provides an option to loot the needed items back. The player has to make sure that the residents do not die in their span on the surface. Protect them from all types of dangers and ensure that they are unharmed from any trouble. Send Dwellers above ground to explore the blasted surface left behind and seek adventure, handy survival loot, or unspeakable death. Find new armors and weapons, gain experience, and earn Caps. It is also a free to play game with in-app purchase and ads. 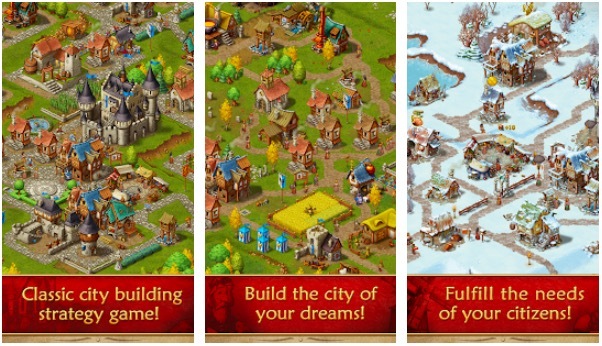 Develop your small village to a humungous medieval empire with a thriving economy and a happy community of villagers. Find spots for mining ore, harvest the crops of your farms and collect coins as taxes from your folk. Build jousting fields, taverns, marketplaces and beautify your city with impressive statues, magnificent monuments, and lush gardens. But there are also dangers and problems lurking around. Enemies are always in the area, looking to plunder and pillage your peaceful town. Build buildings, guard your towers and recruit brave soldiers to protect your people from harm. What is more? this game features extremely cute inhabitants that will definitely take your heart away. This game asks you to make your team city for the future. To win the game, you will have to make a proper strategy or you will lose. The game is really interactive and developers have taken care of details. You will also have to take actions on several issues including natural disasters. You also need to take care of traffic control while planning the game. You have over 100,000 ways to customize each building. There are also hundreds of challenges to overcome. This makes the game interesting. This game is free but comes with in-app purchase option. The most notable thing about the game is that is doesn’t require an internet connection to play. 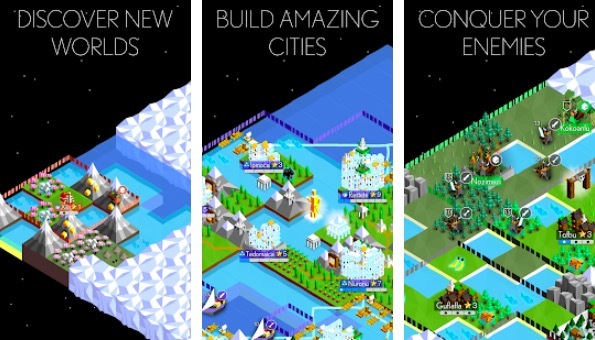 The Battle of Polytopia is another notable city building game that requires a proper strategy to win. It lets you explore a new world, and set up new cities. It has a good storyline and offers good graphic. The game features auto-generate maps. You can pick among different tribes and disbar new lands. This is also free to play but offers in-app purchases. It doesn’t contain ads. This is another nice game for creating buildings. 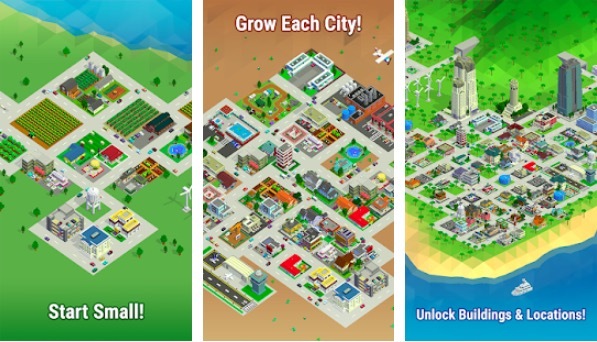 The aim of the game is to build a city, take care of recycling, environment, and security. The graphics of the game is really good. With progress, you will earn rewards and public events. The game is free and offers in-app purchase. Bit City is a minimal city building game for Android. You can start from a tiny town and grow it to be bigger. Collect profits and invest in the city to keep it growing. You can also fill the city with a new type of buildings, cars, planes, ships and more. You can customize the city in a way you like. So, don’t wait. Install and play. Like other games of the list, this is also free to play a game with in-app purchase option. That is our list of best city-building games for Android. 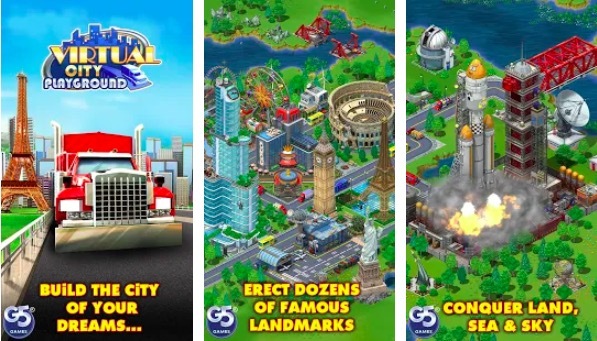 You can download any of these and start making your virtual cities. 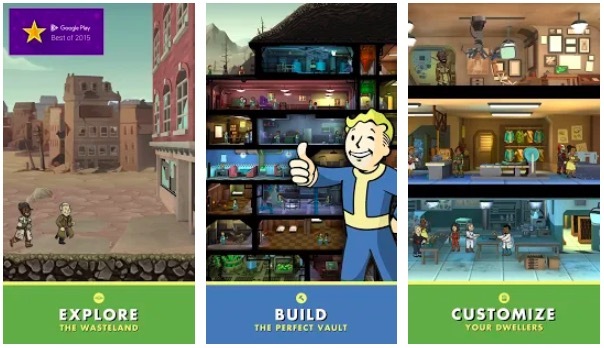 Fallout 2020: My Country and Fallout Shelter are my favorites. Install any of these games, be your own boss, and get ready to rule a town of your own. If you enjoy any other city building game that I didn’t include this list, you can let me know using the comment section below. I will surely try that and include in this list.